The small-plot study used a drill unit capable of attaching all six opener types, which avoided possible confounding effects such as drill weight, row spacing, seed metering system and packing system. Increasing seeding speed will reduce the precision of canola seed placement and thereby reduce the percentage of canola seeds that emerge — no matter which opener you use. Bob Blackshaw with Agriculture and Agri-Food Canada (AAFC) led a two-year study to see how opener systems influenced canola seed emergence, and how speed influenced seed placement. The study compared six different openers in small plot replicated trials across different soil types in Western Canada at Lethbridge, AB, St. Albert, AB, Zealandia, SK, Indian Head, SK, and Brandon, MB in 2011 and 2012. 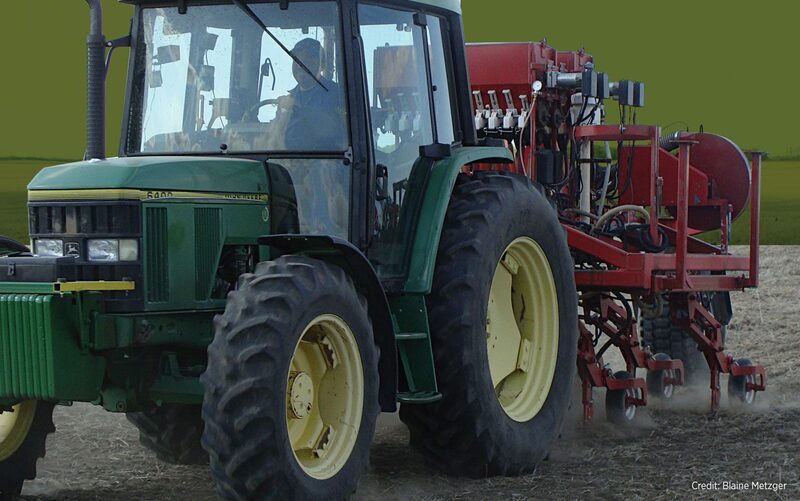 Additionally, a field-scale study using farmers’ seeding equipment examined the effect of various seeding speeds on canola emergence. This opener study was a follow-up to a previously published AAFC study to determine the critical factors and agronomic practices influencing canola emergence and stand establishment. The multi-site, multi-year field study looked at the effects of cultivars, seeding depth and seeding speed on canola emergence using a ConservaPak drill equipped with 1 cm wide knife openers. The first study confirmed that deep seeding and higher seeding speeds have a negative impact on canola emergence. The small-plot opener study used a seed drill from the AgTech Centre in Lethbridge. Various tool bars equipped with different opener types could be attached to the drill, thus avoiding possible confounding effects, such as drill weight, row spacing, seed metering system and packing system. Researchers measure the seeding depth to see how canola seed placement varies by seeding speed and opener type. The six opener types evaluated were: (1) precision single shank single-shoot 0.5-inch narrow knife (low disturbance); (2) precision disc double-shoot (low disturbance); (3) precision single shank single-shoot three-inch spread tip (medium disturbance); (4) precision double shank (medium disturbance); (5) precision single shank double-shoot two-inch side band (medium to high disturbance); and (6) precision single shank double-shoot 4.5-inch paired row (high disturbance). Canola was seeded into cereal stubble — wheat, barley or oats. Row spacing was 12 inches for all openers. Two seeding speeds were used with each opener type — four and six miles per hour (mph). Liberty Link hybrid canola was planted at 110 seeds per square metre in 2011 and 97 seeds per square metre in 2012. Canola emergence counts were made three weeks after planting. Across all opener types, an increase in seeding speed from four to six mph in the small-plot study resulted in reduced canola emergence in 20 percent of comparisons in 2011 and 33 percent of comparisons in 2012. The results showed little difference in performance between the six openers. All openers usually performed well. This study also confirmed the results of previous studies indicating that canola emergence is highly variable and often in the range of 50 to 70 percent. 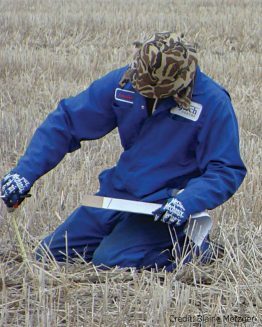 The field-scale study observed seeding tools and emergence results at farms in Alberta, Saskatchewan and Manitoba. In total, 21 farms participated in 2011 and 17 in 2012. They were selected to represent soil types and drill opener types similar to the small plot study. Producer cooperators seeded one strip at four mph and adjacent strips at higher speeds using their own seeding equipment. Researchers then determined canola emergence three weeks after seeding. Field-scale farm trials also indicated a general trend of reduced canola plant stands with higher seeding speeds, except in Manitoba where seeding speed did not affect canola emergence at any of the three sites. 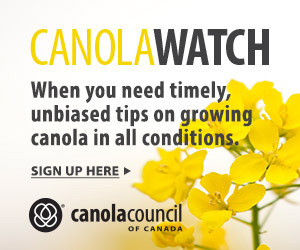 In several cases in Alberta, canola stand was reduced by greater than 20 percent at higher speeds, and reductions in canola yield and quality would be expected. In Saskatchewan in 2012, canola emergence over all sites ranged from a low of 23 percent to a high of 68 percent, indicating how variable canola emergence can be at the farm level. Excellent soil moisture during the study years may have been the great equalizer among treatments in terms of canola emergence in these studies. Ken Coles (Farming Smarter), Alvin Eyolfson (Battle River Research Group), Sherrilyn Phelps and Shannon Urbaniak (Saskatchewan Ministry of Agriculture).